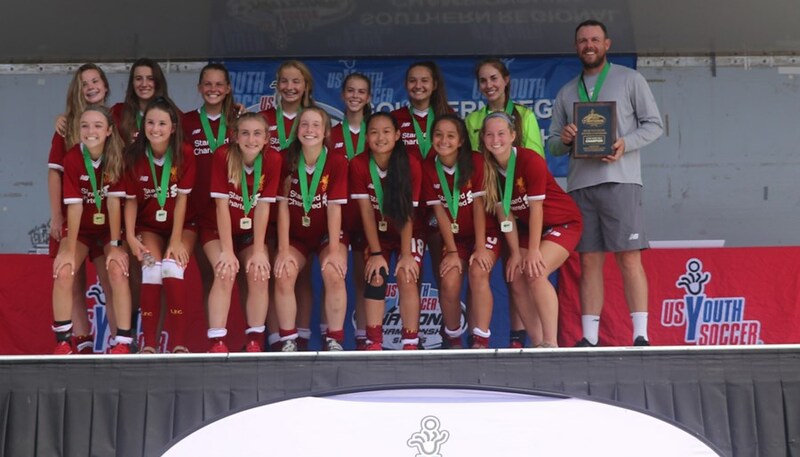 GREENSBORO, N.C. (June 28, 2018) – Four teams representing North Texas claimed 2018 US Youth Soccer Southern Regional Championships titles as 13-Under Girls Liverpool 05 Elite, 14-Under Girls FC Dallas 04 Blue, 15-Under Girls Liverpool 03 Elite, 16-Under Girls Sparta FC 02 Elite won today to earn spots at the 2018 US Youth Soccer National Championship held at Toyota Soccer Center in Frisco, Texas on July 24-29. The four regional champions will join defending National Champion 16-Under Solar 02 Stricker, which won a National League White title to qualify for the National Championships. 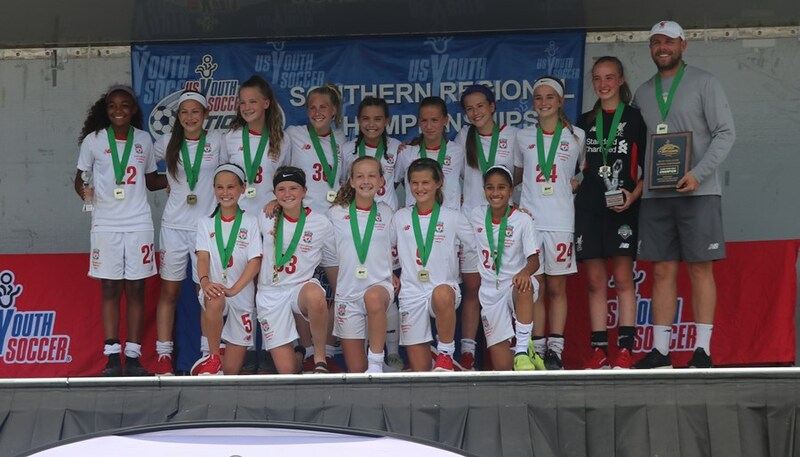 US Youth Soccer Southern Regional Premier League (SRPL) West winners and select runners-up in the 13-Under through 19-Under Boys and Girls age groups joined State Cup Champions and select wildcards at Bryan Park Soccer Complex in Greensboro, N.C. from June 22-28, 2018. The North Texas Soccer State Cup is the first step in the US Youth Soccer National Championships Series. Boys and girls teams in multiple age groups earn their way by competing against the top teams in their state and region. US Youth Soccer State Champions and selected wildcard teams are eligible to compete in one of four US Youth Soccer Regional Championships. The champions in the 13U through 19U age groups from each regional event will join US Youth Soccer National League teams in Frisco, Texas at the National Championships. SSA Chelsea 05 Elite (GA) went a goal ahead just five minutes into the 13-Under Girls finals match against Liverpool 05 Elite, but Theresa McCullough’s goal from outside of the box would equalize two minutes later. Samantha Lumpkin would put Liverpool up for good with a goal in the 41st minute as the North Texas side claimed a 2-1 victory. 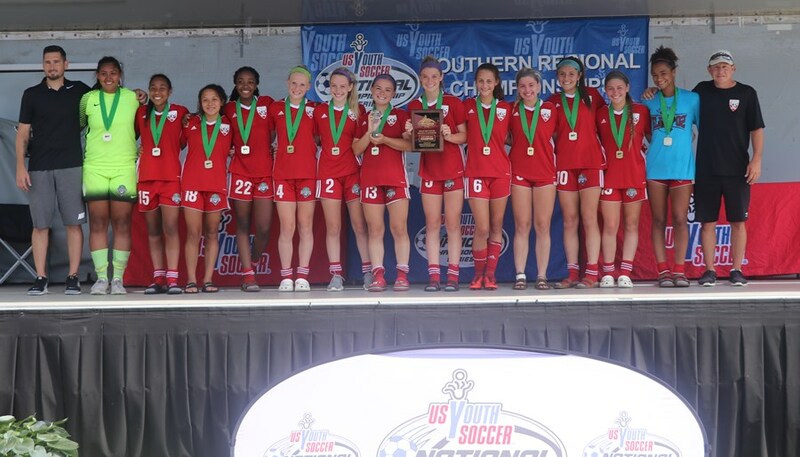 2018 State Cup Champions FC Dallas 04 Blue found itself in a 1-0 deficit for a second straight game when Sunrise Sting (FL) found the back of the net, but Kamara Bradley would equalize in the 67th minute for FC Dallas. Bradley’s goal was the first surrendered by Sunrise in the tournament. It was Bradley again in extra time who would score to put FC Dallas up 2-1, which would ultimately give the North Texas side the regional title and a spot in the National Championships. Liverpool 03 Elite went up 1-0 against 03 Lady Lobos Rush (TN) 11 minutes into the game courtesy of Ella Morgan’s goal. Caroline Kniffen netted her age group leading ninth goal of the tournament to double Liverpool’s lead in the 30th minute. Liverpool’s defense would hold on to secure its third shutout of the tournament to win 2-0. 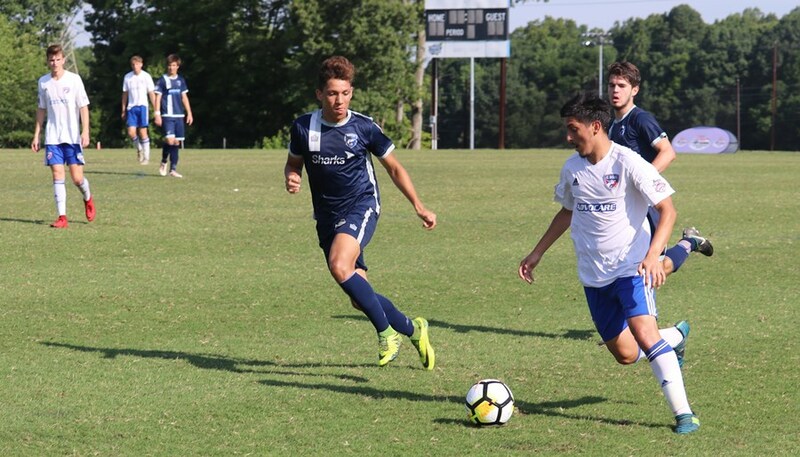 FC Dallas 02 Premier surrendered goal in the 29th minute and was held scoreless for the first time in the tournament in a 1-0 defeat at the hands of NCFC Elite 02 (NC). FC Dallas finishes with a 5-1 record while scoring 18 goals and conceding five in six games. Sparta FC 02 Elite conceded a goal off a header just 10 minutes into the match, and it would take all the way until the 49th minute for Sparta to equalize with Maycie Massingill’s blast from the top of the box. It was Massingill who would provide the game-winner just seven minutes later by burying a loose ball in the box for her age group leading seventh goal of the tournament. 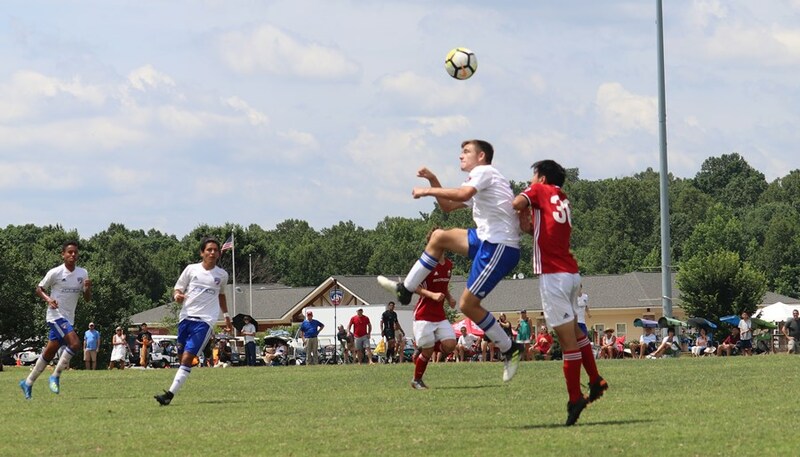 Robert Pino netted a goal just three minutes into the match for Solar 01 Stricker, but just four minutes after that, PPA KSA 01 Pro Profile (GA) would respond with a goal of its own. Things looked to be headed to extra time until KSA would score a second time to ultimately win 2-1. Solar finishes with a 5-1 record while scoring 25 goals and giving up six. FC Dallas surrendered a goal in the 53rd minute against former South Region champions Davie United Sharks (FL), and it looked to be a 1-0 win for the Florida side before Joshua Stone dribble past a handful of defenders on the right side before a drilling a shot to the far post to equalize in the 87th minute. FC Dallas took the lead in the 103rd minute when Brandon Torres found the back of the net, but it was Davie United’s turn to equalize with a goal eight minutes later. The match headed to kicks from the mark, which was ultimately won by Davie United. FC Dallas finished with a 4-1-1 record while scoring 19 goals and surrendering eight.